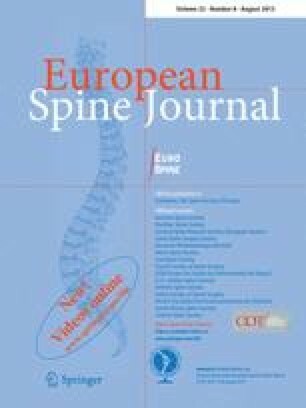 This is a meta-analysis of randomized and non-randomized studies comparing the clinical and radiological efficacy of minimally invasive (MI) and conventional open transforaminal lumbar interbody fusion (open-TLIF) for degenerative lumbar diseases. A literature search of the MEDLINE database identified 11 studies that met our inclusion criteria. A total of 785 patients were examined. Pooled estimates of clinical and radiological outcomes, and corresponding 95 % confidence intervals were calculated. The pooled data revealed that MI-TLIF was associated with less blood loss, shorter hospital stay, and a trend of better functional outcomes when compared with open-TLIF. However, MI-TLIF significantly increased the intraoperative X-ray exposure. Both techniques had similar operative time, complication rate, and re-operation rate. Based on the available evidence, MI-TLIF for degenerative lumbar diseases might lead to better patient-based outcomes. MI-TLIF would be a promising procedure, but extra efforts are needed to reduce its intraoperative radiation exposure. More randomized controlled trials are needed to compare these two surgical options.